The House of Walters: Happy Halloween! What a fun holiday! 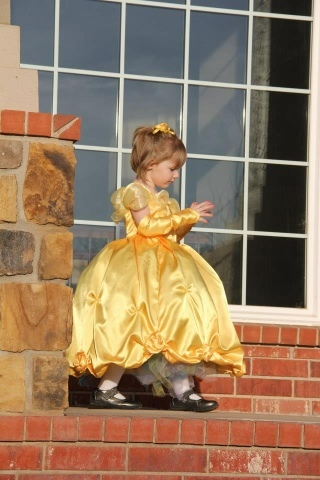 Mattie Kay was Belle from Beauty and the Beast. 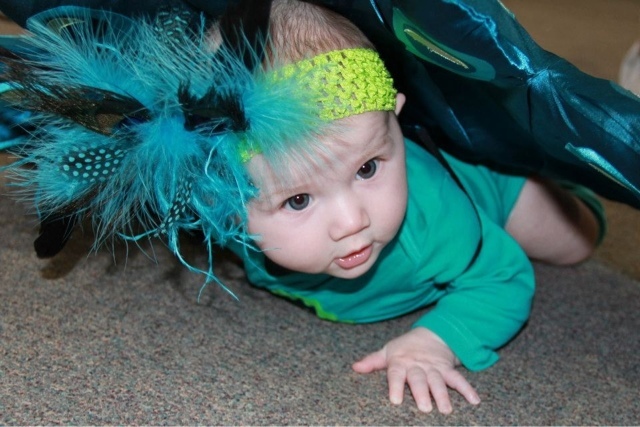 Harper was a peacock for her first Halloween! 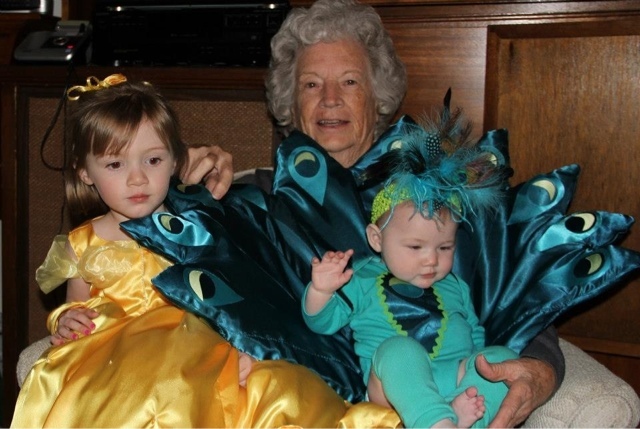 They got to see Granny for a little trick or treating too!